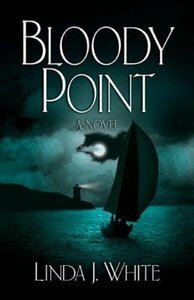 After her agent-husband is murdered, you FBI agent Cassie McKenna takes a leave from the Bureau to try to find serenity on her sailboat that's moored on the beautiful Chesapeake Bay. But serenity is the last thing she finds. Breakneck twists follow the chilling realization that a series of strange events are anything but a coincidence, and if Cass's hunch is correct, there's more at stake than she ever dreamed. Will Cass find out who killed her husband? Who assaulted her former partner leaving him with an injury only God can heal? Will Cass end her self-imposed estrangement from God - before it's too late? Linda White is the author if Sleeping in a Sack, Cooking on a Stick, and Trekking on a Trail. She lives in Loveland, Colorado.